With over 20 years of teaching experience, Mrs. Joy Ma joins the Rolling Hills Country Day School faculty in 2015 as the Middle School Mandarin teacher. 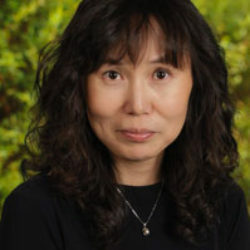 A native of Taiwan, Mrs. Ma received her bachelor’s degree in Chinese Literature from Providence University and her master’s degree from Cal State University, Dominguez Hills. Her favorite part about teaching is interacting with students, and she believes that every student is unique and has his or her own talent. In her free time, Mrs. Ma enjoys reading books and singing.